*Treatment of ovarian cancer involves the surgical removal of all the visible, existing tumour. *For young women of reproductive age, we try to keep the healthy ovary and uterus intact, whenever possible. The ovaries, and their respective fallopian tubes, are bilateral organs found in the pelvis, attached to either side of the uterus. ● The production of the female gamete (egg). Every month the ovary releases an egg during ovulation, this travels down the fallopian tube to the uterus. ● Secretion of female hormones. The ovary is the main source of oestrogen and progesterone which are the female hormones involved in several processes including regulation of the menstrual cycle, pregnancy, and breast development, amongst others. ● During menopause the ovaries stop producing eggs and female hormones. ● Epithelial cancer: discussed further below, this represents 90% of ovarian cancers. ● Germ cell tumours. Very rare (6-8%). A team of specialists mainly comprised of gynaecological surgeons and medical oncologists are involved in the treatment of ovarian cancer. Each patient’s treatment depends on several factors, the most important being the degree of spread of the disease on diagnosis and the patient’s clinical condition. Treatment of ovarian cancer generally consists of the surgical excision of all the visible, existing tumour, which is known as optimal surgery. In the majority of cases this is followed by chemotherapy treatment which consolidates the surgical treatment performed. The complexity of treatment will depend on whether the cancer is at an initial or advanced stage. When the gynaecological surgeon operates on a patient with suspected ovarian cancer, and an ovarian mass is found with no evidence of spread of disease in the abdomen or pelvis, the first step is the removal of the affected ovary and fallopian tube which are then sent to the pathologist. ● Excision of the ovary and uterus (hysterectomy and bilateral adnexectomy). ● Excision of the part of fat which is found in front of the intestine (omenectomy). ● Specimen collection (biopsies) in several locations in the abdominal cavity, and in any suspicious areas, including the removal of the appendix even if not apparently affected. ● Biopsy of the abdominal lymph nodes (lymphadenectomy). Histopathological analysis of all these specimens will determine the definitive stage of the disease. In the majority of patients with stage I disease (tumour limited to the ovaries), surgery is curative. However, 20-30% of patients present recurrence of the disease and theoretically may benefit from chemotherapy treatment complementary to surgery. ● The histological grade: Patients with grade III tumours (most aggressive) have a lower rate of survival than those with grade I tumours. ● Stage: Survival at 5 years after surgery is higher than 90% in stages IA-IB and is at 70-80% in stage IC. ● Rupture of the ovarian capsule, either before or during surgery. There is a great amount of data in the medical literature, based on clinical trials, which shows that giving chemotherapy treatment increases survival in women who have had surgery for ovarian cancer at an early stage and who present any poor prognostic factor (Grade 3, stage IC and/or rupture of capsule). However the best chemotherapy regimen, or the optimum number of cycles, have not been determined in this situation. Whenever possible, at HC Marbella we recommend an initial approach using a minimally invasive laparoscopic procedure which is carried out through small incisions in the abdomen. This approach can be converted to standard surgery during the same operation if there is confirmed ovarian tumour involvement. 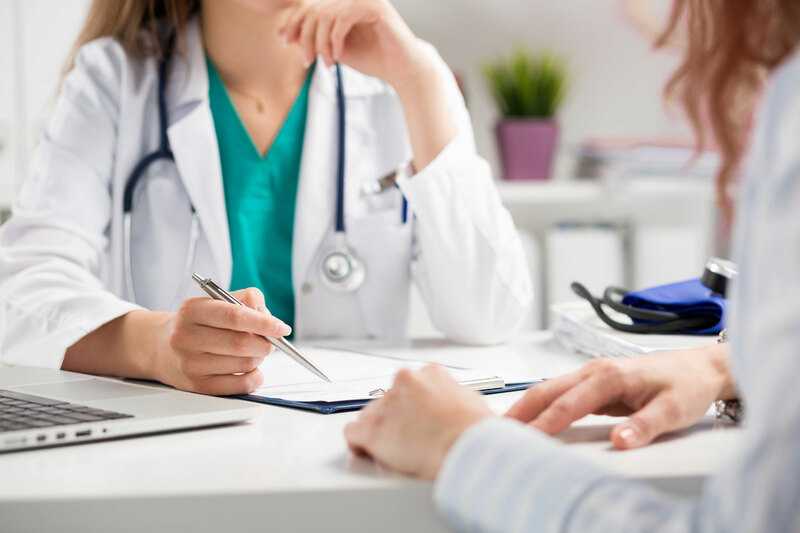 What is often found by the gynaecological surgeon on opening the peritoneal cavity in patients in advanced stages, is that the tumour has spread outside the ovaries and presents multiple different sized implants in the abdominal and pelvic cavity. In these patients, as well as the surgery performed during the initial stages (removal of the uterus, ovaries and fallopian tubes, appendix and fat in front of the intestine), excision of the greatest amount of visible tumour must be performed. It is known that those patients with no remaining macroscopically visible tumour, present better survival rates than those who have visible residual tumour. This type of surgery is known as “cytoreductive” and, unlike with other malignant tumours, there is a correlation between the quality of the surgery and patient survival. When the patient is left with no visible residual disease it is said that she has reached “optimal cytoreduction” and in these cases there is an increased chance of survival. All cases of surgical treatment will be followed by chemotherapy treatment as surgery alone is never curative in these cases. In young women of reproductive age, who are in the very initial stages, and have no other risk factors, we try as far as possible to keep the healthy ovary, fallopian tube and uterus intact. We do perform the remainder of the precautionary intra-abdominal biopsies, for greater security and correct staging. 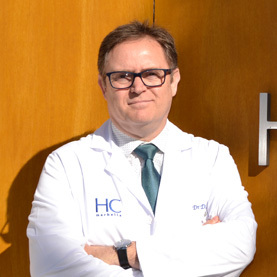 Our surgeons at HC Marbella are experts in these methods of fertility preservation and understand when this type of approach would be the most appropriate option. The key consideration in our minds is always to provide the best technique to cure your cancer and give you a normal life afterwards. Consult us about your case. In Spain, our Oncologists and Specialist Consultants are leaders in their field, and recognised throughout Europe. They will evaluate your case and tell you which type of ovarian cancer treatment is appropriate for you. The team works in multidisciplinary committee groups, and our key consideration is always which technique is best to treat your cancer and enable you to live a normal life afterwards.